Bangalore International Exhibition Centre’s newly constructed Hall 4 was conferred with a ‘Gold’ rating by Indian Green Building Council (IGBC) under its ‘New Building’ rating system. 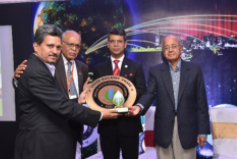 The prestigious award instituted by IGBC was presented to Director General and CEO, V. Anbu on 5th October 2017 at an award function during the Green Building Congress 2017 held in Jaipur. The ET ACETECH 2017 organized by Asian Business Exhibitions & Conferences Limited in Bengaluru at BIEC from 6 to 8 October 2017 was a specialized exhibition for building materials, architectural innovations and design products. 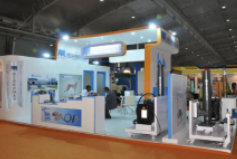 The exhibition which featured around 250 exhibitors, hosted innovation from 22 segments under one roof. ACETECH 2017 attracted around 35000 visitors. Overall around 3000 innovative products were showcased. Advantage Healthcare 2017 was organized by Federation of Indian Chambers of Commerce & Industry at BIEC in Bengaluru from 12 to 14 October 2017. The exhibition featured 171 exhibitors and attracted a footfall of over 6000 visitors. Advantage Healthcare India 2017 showcased India and its immense pool of medical capabilities and created opportunities for healthcare collaborations between participating countries. The event featured reverse buyer-seller meeting and planned B2B sessions with delegates from around 70 countries. SAP Labs India organized SAP TechED 2017 at BIEC in Bengaluru from 25 to 27 October 2017. Around 5000 delegates took part in the event. SAP experts conducted hundreds of sessions on best practices, how-to tips and advice. People working in IT sector, handling database management and administration, business intelligence, and so on attended the sessions. 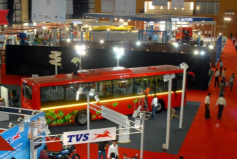 IMS Foundation, Laghu Udyog Bharathi and TAFCON Projects India organized the fourth edition of India Manufacturing Show from 30 October to 1 November 2017 at BIEC in Bengaluru. Indian Manufacturing Show 2017 featured around 200 exhibitors and attracted a footfall of around 7000 visitors. The show was a catalyst to aculeate the manufacturing sector by bringing together the best talent, technologies and minds from across the globe and provided excellent marketing opportunities for all its participants. It is one thing to talk about technology and collaboration. It is another thing to keep yourself abreast of developments and getting to see the innovations in action and to be a part of it. Expodent stands out for this. Association of Dental Industry & Trade of India organized Expodent 2017 from 4 to 5 November 2017 at BIEC in Bengaluru. The exhibition featured over 350 exhibitors and attracted a footfall of over 6000 visitors. The exhibition showcased medical equipments including clinical and laboratory dental equipments and instruments using latest technology. 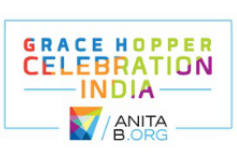 AnitaB.org organized the Anita Borg 2017 exhibition at BIEC in Bengaluru on 16 and 17 November 2017. Around 3500 delegates took part in the show. The event witnessed several technical and non-technical sessions relating to artificial intelligence, data mining and machine learning, big data, cloud, internet of things, and other emerging technologies. Govt. of Karnataka and Confederation of Indian Industry joined hands to organize the Vendor Development and Investors Summit at BIEC in Bengaluru on 23 and 24 November 2017. The objective was to bring together MSMEs and CPSUs, SPSUs and large-scale enterprises for giving market support to MSMEs, enable them to identify suitable vendors among MSME sectors and provide a common platform for businesses to interact with each other to identify the emerging demands of buyer organizations. The show featured 850 exhibitors and attracted a footfall of around 10000 visitors. 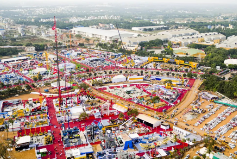 The 9th edition of South Asia’s largest construction equipment event, EXCON took place from 12 to 16 December 2017 at BIEC in Bengaluru. 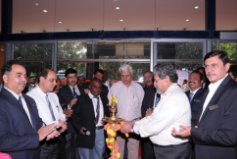 The exhibition was organized by Confederation of Indian Industry (CII). EXCON 2017 witnessed a 16 per cent growth in terms of number of exhibitors compared to the 2015 edition. The event featured over 1000 exhibitors and over 40,000 business visitors. 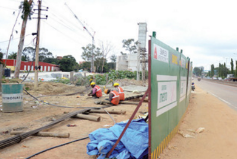 Bangalore Metro has begun construction work for the elevated corridor from Nagasandra to BIEC. Bangalore Metro Rail Corporation is building 3 stations in the line Manjunathanagar, Jindal and BIEC Terminal stations. The construction is scheduled to be completed in mid-2019.